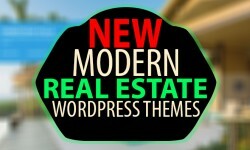 Real Estate WordPress Theme loaded with all features required for real Estate website. It has integrated payment methods to allow buyers to purchase property online. It has Property Agent panel to manage their porperties and see their commission. WordPress booking platform that allows you to publish & offer properties for rent. Our product has a modern design and is very flexible allowing you to customize it to your needs. Real House is modern responsive wordpress theme loaded with all features required for real Estate website. It has integrated payment methods to allow buyers to purchase property online. It has Property Agent panel to manage their porperties and see their commission.